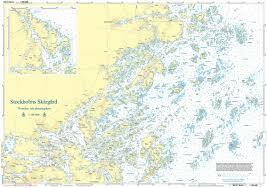 The Stockholm archipelago has been found between Björkö-Arholma and Öja-Landsort to have slightly more than 24,000 islands, islets and skerries and covers approximately 1,700 km², of which approximately 530 km² is land. 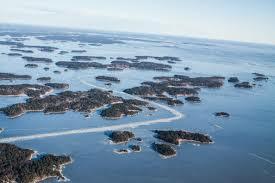 There are about 10,000 resident and 50,000 holiday homes in the archipelago. The Stockholm archipelago has a special nature, created by the inland ice, the land uplift and the rugged coastal climate. The archipelago nature has also been characterized by the human influence through older agriculture and forestry, shipping, Stockholm's defense and then more than 100 years of summer guests. The archipelago's flora, fauna and landscapes differ between the small, exposed and sparsely populated insects and the archipelagos in the outer archipelago and the generally larger and more mainland-like islands in the inner archipelago. The outer archipelago exhibits many unusual species such as gray seal, oak owl, sea eagle and some coastal bird species, marine life such as bladder rod and sea tulip and the plants guckusko and majviva. Among the coastal birds are, among other things, the commonly occurring gulls, sea urchin, eider and lumpfish, but also the more unusual sea eagles, algae, sand eel, thornbird.